The Spring of 1995 found us in England for two weeks of adventures. Our travels took us on several tours of this great land. We enjoyed the friendly people and wonderful food as well as the cool weather. Here is a small sample of the pictures we took while making lasting memories. 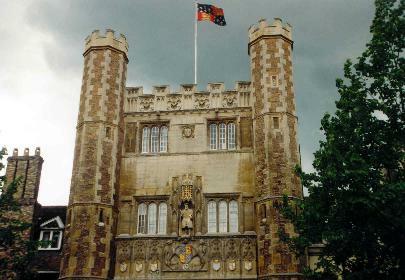 The city of Cambridge is full of old buildings. 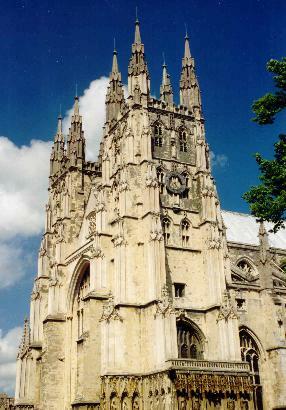 The Cathederal at Canterbury is a wonderous sight to see. 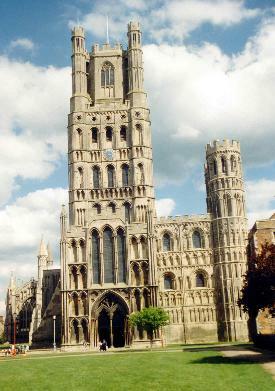 The Cathederal at Ely soars above the countryside. 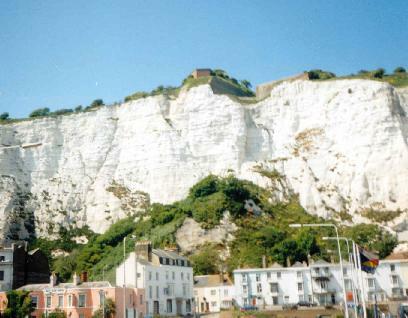 The White Cliffs of Dover are a beautiful sight and a WWII historical site. 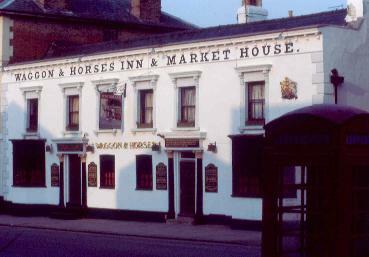 The Wagon & Horses Inn & Market House in New Market. 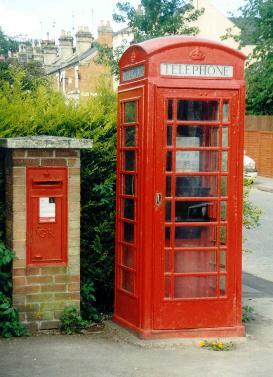 The classic English phone booth.